So did you get everything you wanted this Christmas? Well if you didn't or even if you did you have to check out Joolwe. They have everything a woman wants or could even imagine jewelry wise. Best part they have it all at a reasonable price. 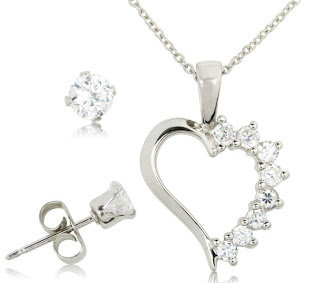 I got a Sterling Silver 1.34 ctw Cubic Zirconia Heart Pendant and Stud earring set. I was in loved when I seen it. The necklace is gorgeous. I love the heart shape and the design. Its not too big and flashy but not too little either. Its definitely a beautiful necklace. The earrings were also beautiful and perfect size. I love that they are sterling silver so I don't break out from it. I also love the look of the silver and cubics together. So elegant and flashy and lovely. This is definitely a quality set at a affordable price. My set was only $19.99 that is amazing. 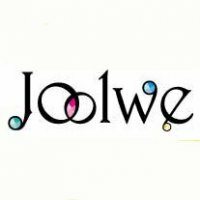 So if you love Jewelry you have to check out Joolwe. You will be glad you did! They have Necklaces, Rings, earrings, bracelets and much more. Everything is cheap and all quality made. You will love everything they have. Also check out their Free Jewelry Reward Program where you sign up for free and earn points for writing review and contributing to the Joolwe community. Then you can use your points to get free jewelry. How awesome is that. So head on over and check them out! We are giving one lucky reader the Sterling Silver 1.34 ctw Cubic Zirconia Heart Pendant and Stud Earring set yay! I just love the Sterling Silver and Diamond Accent Ribbed Station Triple Row Bracelet. I entered your Scunci giveaway. I entered your ConAir giveaway. I entered your Pledge giveaway. I entered your Mrs. Butterworth's giveaway. I like the Sterling Silver Huggie CZ drop hoop earrings. 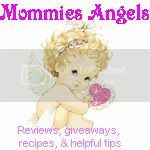 #1 I follow Mommies Angels on Facebook! #2 I follow Mommies Angels on Facebook! I entered the MagnaBlade giveaway! I entered the Magtange Jeunesse giveaway! I entered the ConAir Haribrush giveaway! I entered the Hasbro Sorry Spin giveaway! I entered the Mrs. Butterworth's giveaway! I entered the Corel Home Suite giveaway! I love their oval hoop earrings! Wicked cute stuff on the website. I am really into rings right now and I loved the sterling silver and cubic zirconia budding flower ring. It's playful and fun and can be worn on any occasion! I am really into rings right now and I thought the sterling silver and cubic zirconia budding flower ring was wicked cute and can be worn for any occasion! 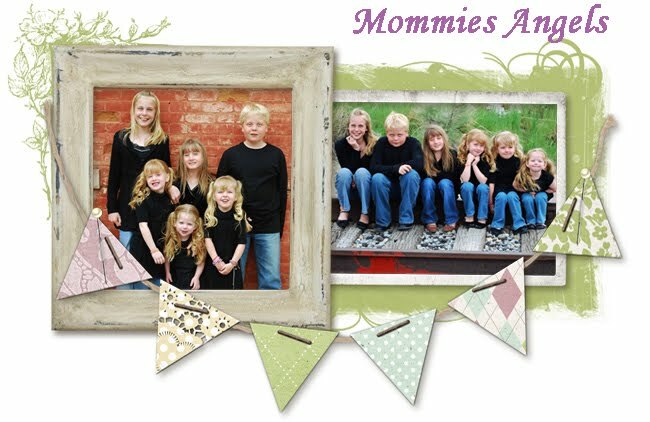 I have just voted for Mommies angels! I love the Sterling Silver and Pearl Elegant Knot Necklace, gorgeous!